Mobile apps have been around us for about a decade now and so does the mobile app development. Although many new things have been introduced and implemented in last couple of years, still there are many misconceptions about mobile app developments that every other developer fall for. One can’t blame the developers entirely for this mishap as some of the ideologies and theories might be right for some specific industry and some of them are born out of confusion. 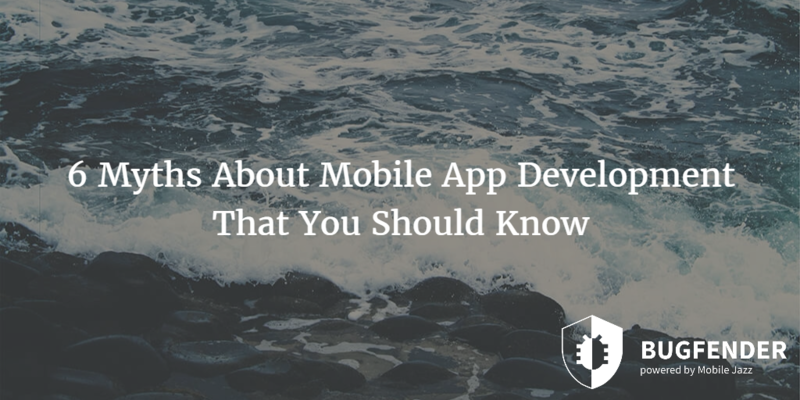 Following are some myths about mobile app developments that you should know about. Considering revenue as an absolute factor for measuring LTV (Life Time Value) is a rookie mistake. The value of a mobile app (regardless of the platform) is not measured by its revenue or IAPs. In some cases, the value is not even a quantifiable factor. Also, IAPs and other purchases might refer to ROI (Return of Investment) but they are not suitable for defining the LTV. Some of the factors that could be used to measure Life Time Value of a mobile app are social media engagement (shares, likes etc. ), number of followers, number of visitors and number of time screen has been viewed. Interestingly, different apps might have different factors for LTV measurement. An e-commerce app would have different goals than a social media app. This is one of the biggest myths about mobile app development. Of course number of downloads matter a lot and in some cases it may accurately define the app success but it is not the only factor and it doesn’t accurately depict app performance all the time. There are tons of scenarios where the number of downloads could be confusing or lead to false assumptions. For example, a high number of users may download the app but not use it at all. Marketing efforts, advertisement and brand development efforts can lead to high number of downloads. There are some other factors that matter too; for example, number of active users, session length, session frequency and many more. Actually this is not a myth but an obsolete concept that developers should get rid of. There was a time where mobile apps were trying to position themselves in the market in competition of mobile websites but now that competition is long gone. Businesses now understand that mobile websites and mobile apps have fundamental differences and none of both could be ignored. Not only apps and websites have different functionalities but they also have different interfaces and purposes. Generally people prefer using mobile apps over mobile websites because they are easier to use and time efficient. For example, people prefer Facebook app over Facebook mobile website because the app has more features and sleek interface. Interestingly, this statement is 100% true; user interface depends on the platform; that’s why iOS apps are generally different than Android apps. However, developers don’t see this phenomenon as it is. Developers want to build identical apps for different platforms so users find it easy to switch platforms and of course it increases productivity. But from practical point of view, it is not entirely possible because of the platform limitations. Android and iOS are two fundamentally different mobile operating systems. Some developers might be able to port their Android or iOS apps to the other platform successfully, without changing the interface and affecting the functionality but that is not always the case. Developers must use the platform’s capabilities effectively rather than focusing on building identical apps for multiple platforms. That was true a while ago when developers sensed the opportunity of getting good return via paid apps. It was a reasonable model and it was a win-win situation for both parties – developer and user. However, after a while other monetization models like IAPs and subscriptions were introduced and they put significant impact on paid apps. If we analyze and compare paid apps and IAPs as monetization models, we can see some resemblance and differences. However, monetization is not the only ROI nowadays. Many developers offer free apps as well as paid apps. The purpose of releasing free apps is to expand user base while paid apps (as well as IAPs and subscription based apps) help developers get returns. Many developers think that when their app is built and released, their job is done. This assumption sounds reasonable but that is not true – especially in this saturated market where millions of apps are already here. This particular mindset makes things difficult when developers and developing companies estimate the cost of total life cycle of the app. They only consider development cost and forget upgrades, marketing, maintenance and other hidden costs. Development is only one part of the total life cycle of a mobile app and developers must consider other aspects to estimate the total cost and efforts required to complete the job successfully. 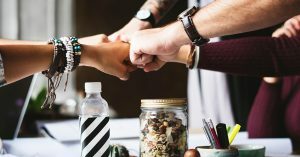 How to Deliver the Best Product to Your Audience? Contrary to popular belief, the job of a developer does not end after releasing an app in the app store. 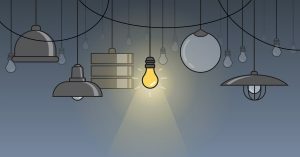 Instead, delivering the best product is an evolving process where developers need to analyze the outcome of their apps on different devices and models to improve it. Using emulators is an older technique that is still widely used yet remote testing is the future. 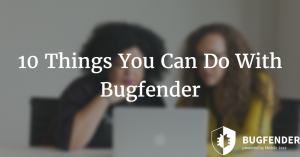 Bugfender is a revolutionary tool that helps developers and testers discover bugs in their apps, bugs that only appear on specific devices and bugs that could be easily ignored or missed during the testing phase. With Bugfender, developers and testers can gather actual data from real world devices, and fix those issues before the users discover them. as_taxify Created with Sketch. as_tesco Created with Sketch. as_menshealth Created with Sketch. as_aimail Created with Sketch. as_autodesk Created with Sketch. as_websummit Created with Sketch.